Because of the mild climate at Lake Constance, Germany's most southern therapeutic bath, the former Imperial city Uberlingen (404 to 700 m above sea level), is also known as the "Riviera of Lake Constance". Surrounded from the wooded ridge, Uberlingen has a mild stimulating climate and well-balanced summer temperatures as well as mild autumn days and winter days. In Uberlingen, stroll along the 5 km long promenade of Lake Constance or relax in the inviting street cafés. Old patrician houses in angled alleys of the former free Imperial city bewitch you and create romantic moods. The well-kept medieval old town with mighty fortifications (romantic former moats, defence towers and town gates) is dominated by the late gothic church (St. Nikolaus with high altar) at the northern Lake Constance shore. Besides a lot of parks and gardens, there is a big famous cactus collection in the town garden of Uberlingen on an open air exhibit and rare trees. 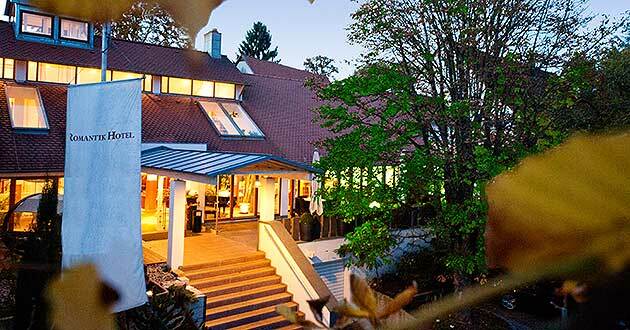 In the traditional spa town Uberlingen, the classic spa guest but also the health vacationer finds spa offers which are named after the priest Kneipp as well as therapeutic abstinence from food which is named after Dr. Buchinger. Andelshofen is a small fruit farm town, which is hardly 3 km away from the sea promenade in relaxed quietness and lies in an idyll countryside. 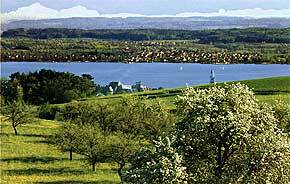 Culturally and scenically, the Lake Constance belongs to the most interesting recreation areas in Germany. In the change of the season, Lake Constance has many faces. Have you already experienced the fruit bloom here? Or a winterly snowy sea landscape? Let yourself be pampered from the climate and be charmed from the nature. Wether with extended hikings or with multivarious sport activities  everyone finds his / her individual vacation paradies! 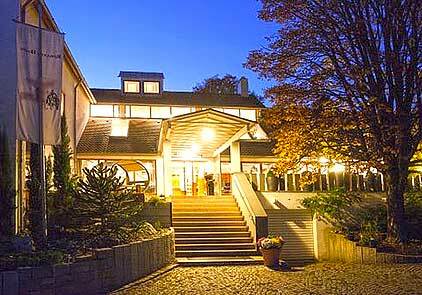 Experience a one of a kind grown ambience in a 300-year-old country house. Relax in modern, widely spacious rooms at the same time. And in the romantic chimney restaurant enjoy the typical regional cuisines which have been distinguished several times. 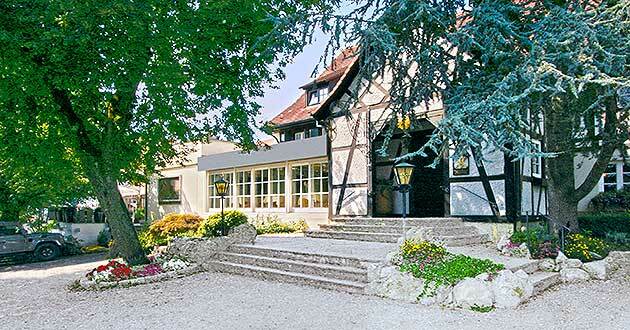 In this charming combination you will experience a country hotel which has been in family business since 1913.